I want to share with you my love for the law, but also some of the difficult challenges I see in ensuring our laws are fair and uphold justice. Law sets the boundaries of politics, economics, and society in numerous ways and serves as a social mediator of relations of people. It is a system of rules and guidelines enforced by an institution or a set of institutions. In the United States, we have three branches of government. The Legislative branch makes the legislation. The Executive branch approves the legislation into law or vetoes it. The laws that are enacted are executed and enforced by the Executive branch. The Judiciary branch interprets and applies the law, and it also provides a mechanism to resolve disputes. I see the law as an extremely powerful tool or even energy created by humans. A good law can do well for society, but a bad law can do harm whether intentionally or unintentionally. In my experience as a lawmaker and now as an attorney drafting laws, the background of the legislative drafter(s) is critical to the final outcome of the law that is being written. Often, there are just a handful of legislative drafters made up of politicians, attorneys, and/or advocates. These individuals carry enormous power. However, with enormous power, there is enormous responsibility. Such individuals must be able to analyze the impact of the law, ensure the law is interpreted as it was intended by the drafter(s), and cross-reference and cross-check other laws. Ideally, laws should be drafted so that it is equally applied to all persons and entities. Laws with penalties should be created fairly that is fitting for the violation. Basically laws should be balanced, overseeing the big picture, as it impacts our society. However, not all laws are drafted in this manner. There are individuals who are extremely slanted to one view. Personalities and character traits of individuals affect the legislative drafting. Errors in drafting and research affect the intent of the legislation. And individuals disagree with each other on the interpretation of the language that was drafted, unable to come up with the clearest language. I have experienced all the challenges of law making. I have disagreed with one-sided individuals, caught my errors and errors of others in drafts of legislation, and disagreed with others on the interpretation of language in the legislation. What frustrates me is when individuals cannot at least be open to see all sides of the argument, admit their errors, or at least be open to analyze another interpretation of the legislation being drafted. I have made mistakes or changed my policy views in my career, but if my mistake or change in policy can result in a better law, then it is good, because ultimately the law affects the people of Hawaii. Many times, I have watched legislation become law because of these obstacles. This year is no different. However, even if legislation become law, which I disagree with, I am happy our government has the Judiciary branch that is separate but equal to the Legislative and Executive branches of government. Sure the Executive branch can veto bills passed by the Legislature, however, a Legislature with a supermajority can easily override the Governor’s vetoes, or there are times when the Governor and the Legislature are aligned. Unlike the Legislative branch and Executive branch, the Judiciary branch does not have the same political pressure to make a decision, as the Judiciary’s judges are appointed through a judicial selection process and not elected like the Legislature and Governor. Therefore, the Judiciary is semi-sheltered from political pressures. Lady Justice, the symbol of the Judiciary in our country holds the scales of justice, which represents an objective standard by which competing claims are weighed. With this objective standard, the Judiciary makes decisions on unfair laws, interprets vague laws, makes judgment on disagreements, and imposes sentences fitting of each violation. There are laws that force the Judiciary to make a certain decision, and I have always felt uncomfortable about them because it ties the Judiciary’s hands in making a decision after analyzing the facts, weighing competing claims, and applying the law. A law should not bind the Judiciary to make a decision that is to be applied across the board to every case because every case is different. Attorneys, although they are advocates on behalf of their clients and departments for their issues, should hold themselves to the high standard of justice instilled in the Judiciary since all attorneys become officers to the court when they are sworn in to abide by the Constitution of the State of Hawaii and to the Constitution of the United States. Attorneys should seek justice for their clients rather than be driven by greed, self-gratification, one-sided views, or extreme-sided views. I thoroughly enjoy working on our laws. I will continue to do my best for you, and all the people of Hawaii. Although, I am frustrated at times with the challenges I face in my goal to draft and implement the best laws possible, I will never give up. Whether I serve my community as a lawyer or a politician, I will always try my best to ensure our laws are fair and up to the standards of justice. 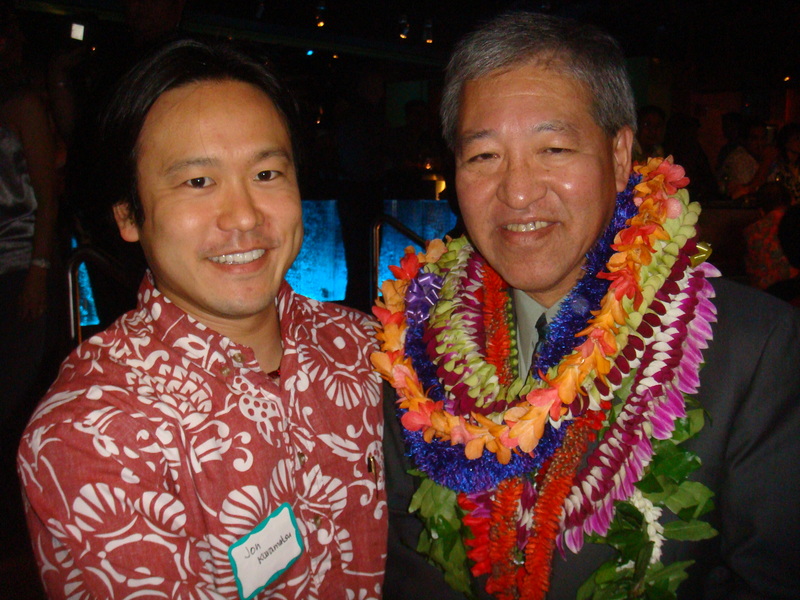 Honolulu Deputy Prosecuting Attorney Jon Riki Karamatsu and Honolulu Prosecuting Attorney Keith Kaneshiro. 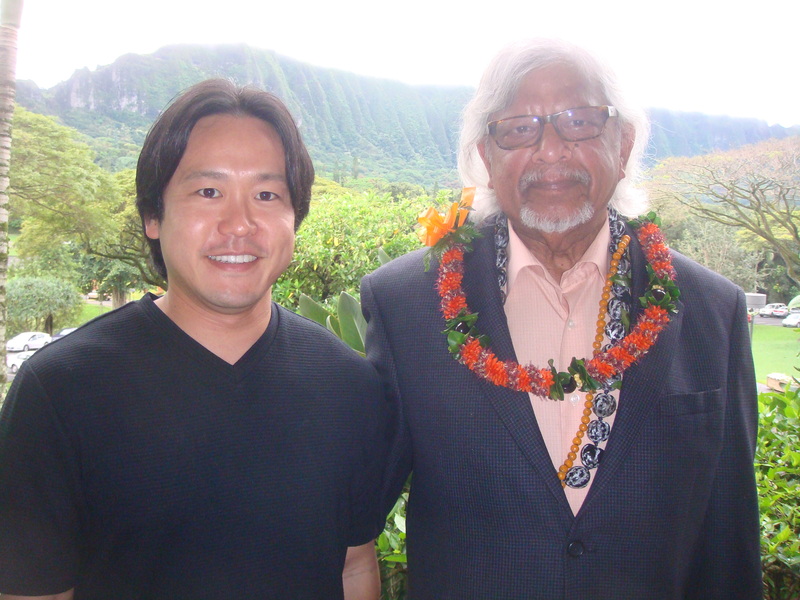 I am with Honolulu Prosecuting Attorney Keith Kaneshiro at his fundraiser on Wednesday, March 16, 2011 from 5:30 P.M. to 7:30 P.M. at Oceans in Restaurant Row. Please support his re-election in 2012. Thank you! Today, March 19, 2011 from 11:00 A.M., I attended the Honolulu Yamaguchi Kenjinkai 2011 Shinnen Enkai Party at Tsukiji Fish Market and Restaurant in Ala Moana Shopping Center. On Wednesday, March 9, 2011 from 5:00 P.M., I attended the Honolulu Japanese Chamber of Commerce 2011 General Membership Gathering at the Japanese Cultural Center of Hawaii, Manoa Grand Ballroom.